WASHAA Membership - Everyone is Welcome! If you believe in Health Advocacy and want to support WASHAA's mission, we invite you to become a WASHAA Member. ​WASHAA Membership was designed with you in mind. To best support you, we created different types of membership and benefits. Please read the descriptions below or download the Membership Comparison Table to help determine which Membership Level is right for you. For individuals interested in Health Advocacy, including volunteer advocates, patients, caregivers, healthcare providers, and the general public. For individuals practicing Health Advocacy -- Providing their professional services for a fee. ​**Note: Not all Health Advocates are registered nurses** We believe that health advocacy encompasses a variety of health-related services (i.e. Medical billing, mental/behavioral health, etc.). Please see Types of Health Advocacy Services for more information. 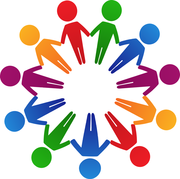 Professional Membership provides Health Advocates with opportunities to promote their services. It includes listing in the online WASHAA Health Advocate Directory along with other tools designed to develop skills and enhance business. Sign and abide by the WASHAA Code of Ethics. All Members with a professional license must provide their license number at the time of membership enrollment. 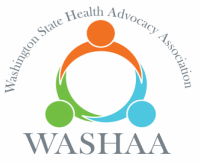 For organizations that wish to promote their Health Advocacy services and work in collaboration with WASHAA to further mutual goals. ​Not sure which WASHAA Membership Level is right for you? Contact Us! We are happy to answer any questions you might have.